The product browser provides an overview of all the products and operating principles. Each product is listed with a summary of its benefits and also a 3D product view. In some cases it is also possible to configure products and select a colour or print options. 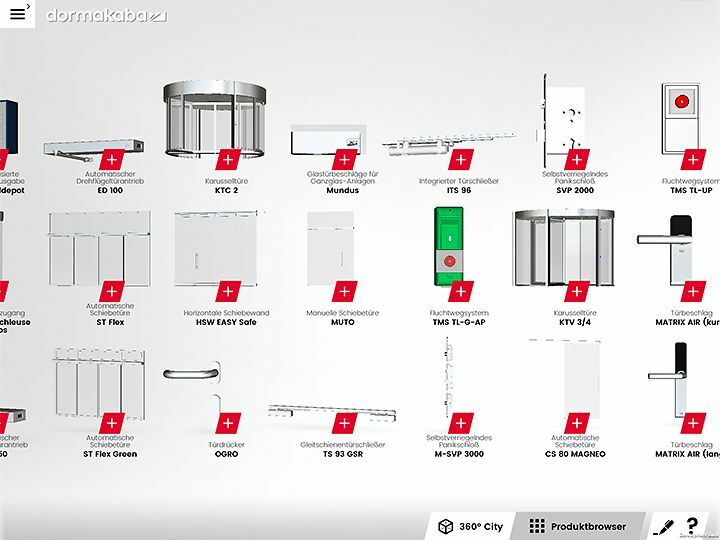 Fact sheets, films and pictures relating to the products are stored in the product browser too.